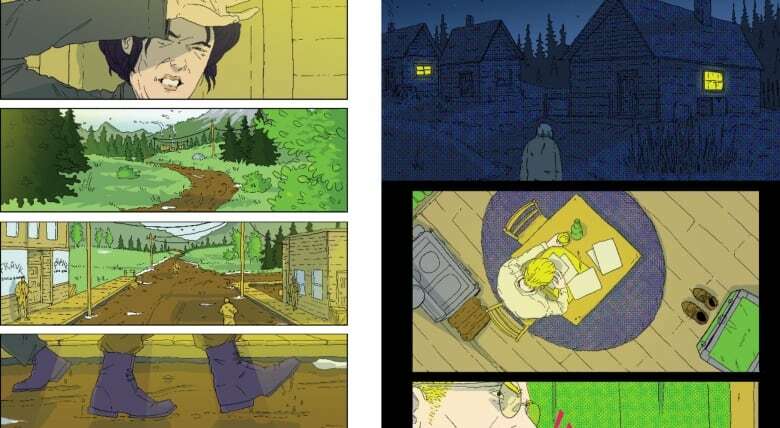 The comic book artist and author on creating a graphic novel around the Frank Slide disaster of 1903. Ben Rankel is a artist and writer based in Calgary. 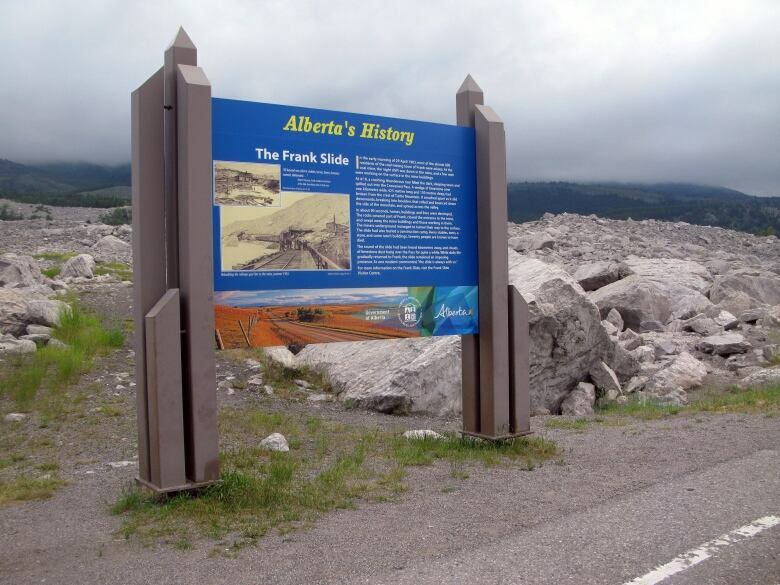 His debut graphic novel, Frank, takes a look at Canadian history with a fictional murder mystery set around the Frank Slide — a deadly 1903 rockslide in Frank, Alta., where over 82 million tonnes of limestone rock slid down Turtle Mountain. The disaster buried the eastern side of the mining town within 100 seconds, killing more than 100 people. The historical fiction features protagonist Eve Lee, a woman seeking to find out what happened to a former lover who disappears around the time the rockslide occurs. Rankel tells CBC Books that he hopes the fictional tale will encourage people to learn a little more about Alberta's diverse history in the process. In his own words, Rankel explains how he created Frank. "I was having a discussion with my publisher about how we both wanted to tell more stories that are set locally. Through that conversation we hit on the story of Frank, which is still considered one of Canada's largest natural disasters. If you ever get a chance to visit the site, it's encompassing. You can stand in the centre of it and still see the huge block that fell off of Turtle Mountain. It is estimated that more than 100 people perished in the disaster. They never had a total number due to not being able to get in there and dig up bodies, who are still resting there. That fact is weird when you consider there's a highway going through there now." "I didn't initially have the idea of making it a murder mystery until later but wanted to tell an interesting tale set in Alberta in the 1900s. I had a list of writers that I wanted to work with but my publisher felt that I should write it, even though I had never written something like this before. It was a bit daunting, but I figured why not give it a shot." "I'm a huge fan of the comic book work of my wife, Fiona Staples, who is wildly inspiring to me. I ran the story by her first. She was also a great resource to have in looking over my story and providing feedback. Her co-writer (of graphic novel series Saga) Brian K. Vaughn is another huge influence for me. I was able to look at his scripts and use that as a reference for figuring out the comic book script formatting. 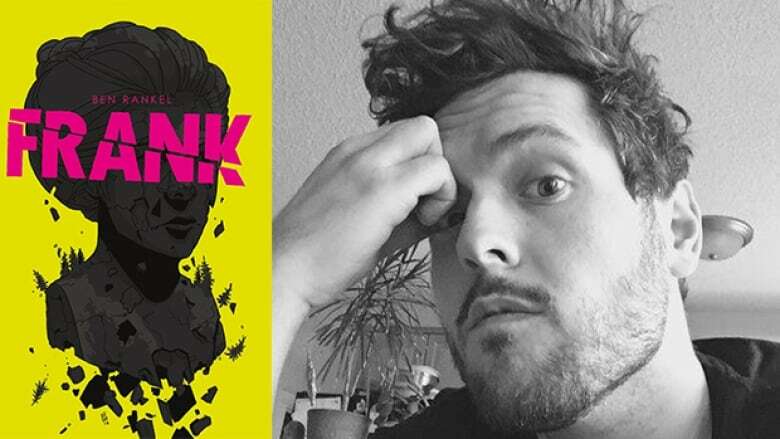 Becky Cloonan is another person I'm a huge fan of — she does some fantastic work — and I was influenced by reading about her plotting techniques, which also helped me in creating Frank. "Artistically I also admire and was inspired by cool people like Asaf Hanuka and Tomer Hanuka, who created the graphic novel The Divine. They really got me interested in going a nontraditional route with the art in my book. I wanted the art style to be a bit different from mainstream comic books, to be a bit brighter and more cartoon-y. I used a lot of spot blacks and varied line weight." "I did a lot of research in creating this historical fiction story. I was struck by the fact that the official list of dead are generally of European descent but my research revealed that there were many other ethnicities that were in the community at the time as well who were lost. This includes an entire camp of undocumented workers from the coal mine who were people of colour. There were obviously people of Indigenous heritage, people of Asian heritage, along with people of African descent who were all apart of the community around that time. "It inspired me to create the Black character in the book Gillbert Ware, who is an officer for the North-West Mounted Police. So the characters in the book are a reflection of the actual diversity that was present at that time. It's intentional on my part to want to tell a story isn't just full of white protagonists as that's not how the world was or is." Ben Randel's comments have been edited and condensed.